Angry Birds is back, and the birds are angrier than ever. Their wrath, this time around, is being put to good use for the planet. It’s Earth Day on April 22, and for ten days, Apple has an entire section on the App Store called Apps for Earth. It will be a shot in the arm for the environment movement in the form of 27 apps, where children and adults can safeguard wildlife, conserve forests, support sustainable food, preserve oceans, protect fresh water, and combat climate change. 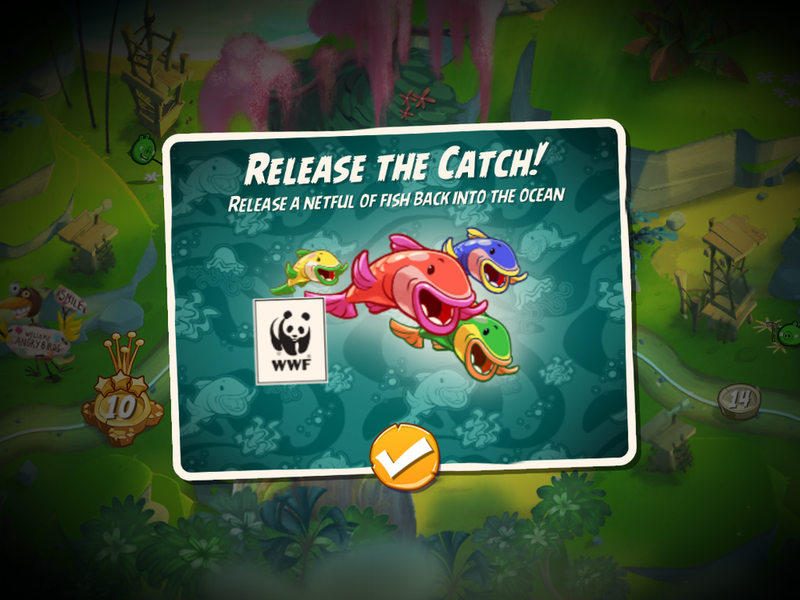 It’s a savvy fundraising drive: proceeds from in-app purchases will go to World Wide Fund for Nature (WWF). Considering that many children are growing up surrounded by screens, it is a smart idea to get them to think about conservation while playing games. Of course, how many games will translate into real action, if any, remains to be seen. That said, after the ten days are up, these apps will most probably return to business as usual. It would be interesting to see how many of these companies will continue to incorporate green messages beyond the token Earth Day promotion. However, there are plenty of other green games online. PBS Kids has a website called Meet the Greens, where children can watch animated videos and calculate their carbon footprint based on their travel, food, consumption, and waste behaviour. There are games where young players can think about upcycling clothes, efficient lighting, learn trivia and get quizzed on green know-how. If your children love The Magic School Bus series, then head to their microsite on Scholastic’s webpage for match the animal to its habitat puzzles, science experiments, and trivia. Then there’s British Council’s LearnEnglishKids website, which has an environment section packed with songs about Lisa the Lemur, flashcards, games, and stories. For older children, there’s Don’t Flood the Fidgits!, which I must confess isn’t as easy as it looks. Players can choose to build flood-safe cities on an island, river, or peninsula, where you work with a budget and a population goal. As you build one city, it gets flooded and you realise you need to add trees, storm walls, and drainage for better cities. The simulation game gets young adults to explore environmental design, understanding engineering, green housing, and ecological landscapes. If they love cooking and gardening, get them to play 3rd World Farmer, an online simulation game about farming in developing countries. Players need to farm sustainably in the midst of droughts, market fluctuations and diseases. Hint: permaculture comes to the rescue. After all, children are going to spend time online, it’s not a bad idea to nudge them towards gaming that encourages to think about conservation, try their hand at eco-design challenges, and have fun while doing it.